A live wedding shoot using both on and off-camera flash as well as natural light. 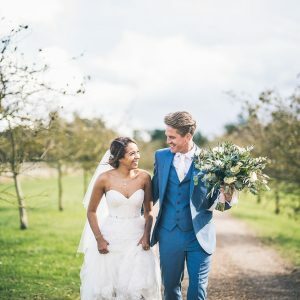 Set at the fantastic Hautbois Hall in Norfolk https://www.hautboishall.com/ we will be replicating some of the key elements of a wedding – whether you’re an amateur photographer, just starting out on your photography path and need help and advice from like-minded people or already a wedding photographer that just wants to practice at a shoot, this course is perfect for all levels and abilities (some knowledge of a DSLR is required). Starting off at the beautiful Music Room Cottage, we will begin with bridal prep images, where we will capture our model getting her makeup and hair done as well as some portrait photos. Once dressed we will use props for some portraits. We will then move outside to look at ceremony photos, couples styled shoot (think fields, balloons and leather armchairs) and the first dance (there will be a short break for lunch so please bring a packed lunch if wanted). During the shoot, Chris Bottrell will help you explore creative lighting using led lighting, reflectors and off camera flash. All aspects of off-camera flash. Please note this shoot is weather dependent and a full refund will be offered if unable to take place.